After a lazy American summer, the Indian community abroad comes to life with the festival season that culminates with Diwali, the queen of all festivals! 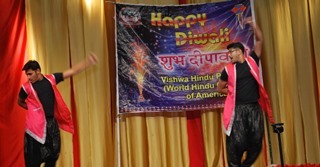 World Hindu Council of America (VHPA) – Atlanta Chapter has been organizing Diwali celebrations featuring some of the best performing arts talent in and around Atlanta in a daylong event every year for over a decade at the downtown Centennial Olympic Park outdoor amphitheatre. 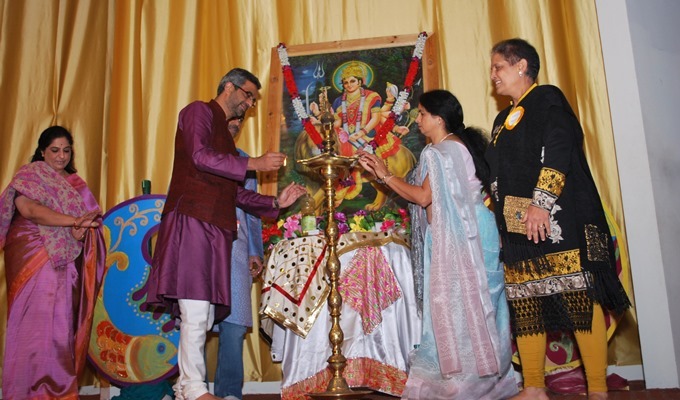 However due to heavy rains, this year’s free Festival of Lights celebration was moved to Ambaji USA Shri Shakti Mandir’s massive premises on Nov. 15, 2015. 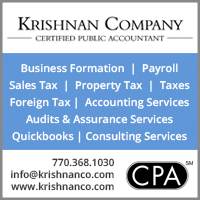 Chief Guests were R. Srinivasan, Consul (Consular/Community Affairs/Commercial/Political) of the Indian Consulate in Atlanta and his wife Anagha Srinivasan, and Pratap Singh Chauhan, an Atlanta entrepreneur and president – Sewa GA Vibhag. 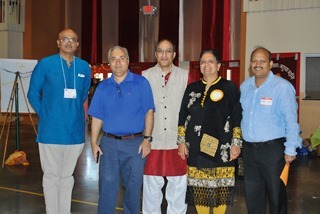 Kusum Khurana, president of VHPA–Atlanta, presided. 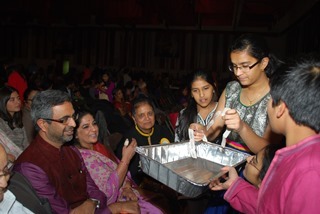 A sizable crowd enjoyed the cultural program with free snacks and free lunch provided by Shri Shakti Mandir, and mehndi and face painting by Induji and her volunteers. Ethnic clothes, jewelry, and handicrafts were sold by SaiKiranFashions.com, Mayuri Elegance, Shakti Gifts, and The Mandi. 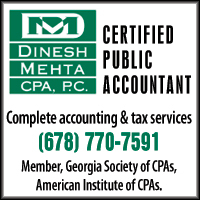 At information booths were Chetan Vyas for Obama Care, financial protection and legal shield, while representatives of Atlanta Gastro shared information on digestive health disorders. Young volunteers and students of Balvihar, Divya Ragunathan, Mugdha Daftardar, Garv Gaur, Shubhi Dhar, and Kamya Mehra sold raffle tickets, getting a really good response. Emcees were Sabitha Venugopal and two young graduates of Balvihar, Aadithya Ragunathan, a bio-medical engineering student at GaTech, and Eesha Oza, a medical student at Georgia Regents University. 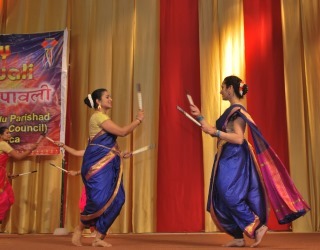 The cultural program started with prayers recited by Balvihar students and VHPA volunteers, followed by a classic Kathak piece by Leera Rawal, a disciple of Pandit Birju Maharaj and Smt. Kumudiniben Lakhia. Eesha Oza performed a solo dance representing her Indian home state of Gujarat. The emcees introduced each item with interesting information about the state of India being represented, along with some fun trivia questions to engage and test audience knowledge about India. 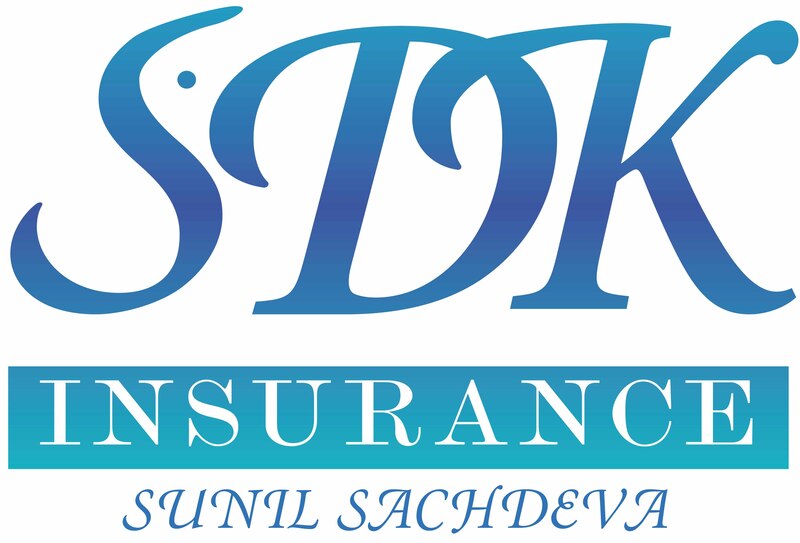 The show continued for the next 5 hours with scintillating dances and melodious songs. Aadithya Prem, a GaTech student and Bharatanatyam dancer par excellence, has performed at this event since he was in middle school, and once again gave a great solo performance as did his young students from Mahek Dance Academy, performing a Hindi film fusion dance medley. Students of Cobb Balvihar gave a rocking dance performance choreographed by Shweta Khatri. The little kids presented several very well received dances. Not to be outdone, Cobb Balvihar teachers led by Neetu Sharma performed on a medley of foot-tapping songs, from folk to the contemporary “Chittiyan kalaiyaan ve.” Neetu Singh Chauhan coordinated a traditional Rajasthani folk dance and a Kathak-based Hindi film fusion dance. Talented ladies dressed in traditional nine-yard sarees presented an energetic Kannada folk dance that combined dance moves with agile acrobatics. This group was coordinated by Shobha Shivram, and drew a huge applause from the audience. 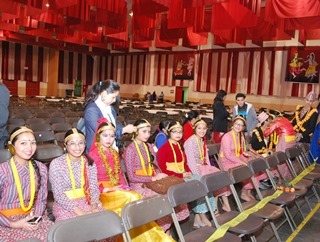 A special treat was a group of Bhutanese kids who performed the Nepali Maruni dance and a Nepali-Bhutani traditional dance where young girls reminisce about their beautiful village life, an emotion almost all adults in the audience could relate to. These children performed under the guidance of Manikala Basnet from the Bhutanese Temple. 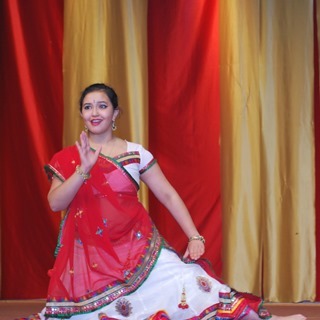 While the Indian community is a great patron of Indian dance forms, both traditional and contemporary, it is equally passionate about the music of India. Thanks to Hindi films, generations of Indians have grown up on a staple diet of love songs along with the more traditional Hindustani and Karnatic music. Hindi film music has a personality of its own, unmistakably Indian, unapologetically romantic, ignoring any regional boundary, and loved by all. So an array of Hindi film songs, solos as well as duets, followed, by talented singers Nishith Oza, Anilnath Malappan, Manoj Hanumatha, Aradhana Chaturvedi, Smita Daftardar, and Gopendar Sharma, accompanied by guitarist Sajith Shetty. 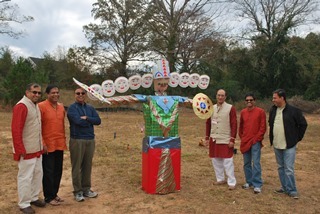 The musical group Desi Rhythms of Atlanta gave an outstanding performance; one could imagine these artists in a studio in Bollywood, recording the next musical hit! 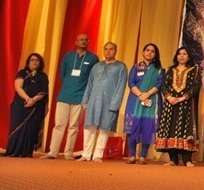 Singers were Vidya Parameswaran, Madhavi Perumpalath, Geeta Khanna, Jyoti Sharma, Saras Jain, Navin Gurnaney, and Somu Ray. Last but not least, Akhil Turaga, winner of Zee TV's Dance India Dance–Little Masters of North America, presented an electrifying dance, truly contributing the “grand” in the “grand finale” of the show. Indoor activities ended with Sangh Parthana (a collective vow), and the crowd moved outside to witness the last Ravan Dahan event of the season. Every year, Balvihar Hindi School, an educational program of VHPA, celebrates Dussehra and Diwali with Ravan Dahan and fireworks. 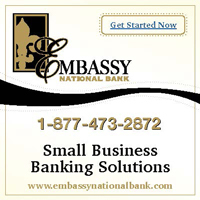 This year, the event was combined with the Festival of Lights celebration, adding to the festivities and extending the day long program well into the evening. 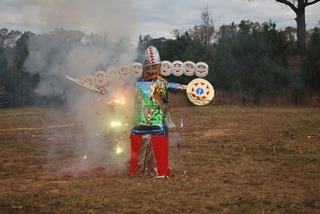 Kids and adults enjoyed the burning of Ravan, and cheered enthusiastically as the Demon King succumbed to the flames. This was followed by distribution of fireworks to everyone, with adult supervision. 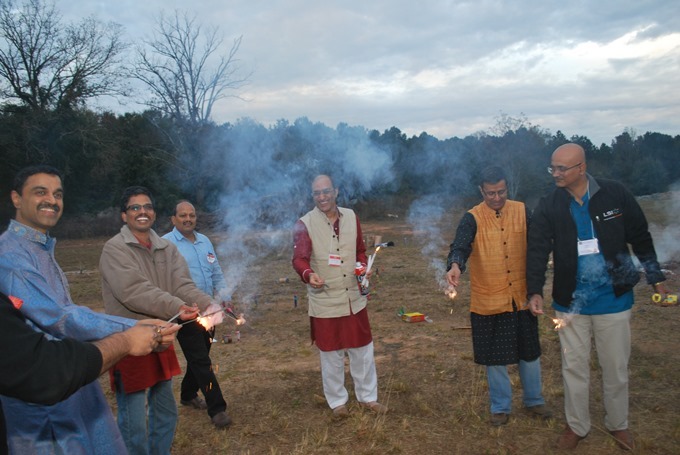 Dussera and Diwali bring out the child in every adult, and fun was had by all! 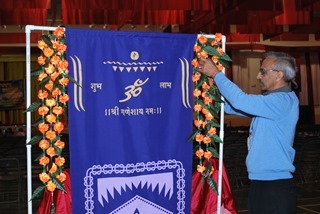 Volunteers of VHPA in the spirit of “seva parmo dharma” are thankful to have the opportunity to serve the community and the purpose of Sanatan Dharma with this free annual event.